St Fiacre is most renowned as the patron saint of growing food and medicinal plants, sometimes more broadly referred to as simply gardening. 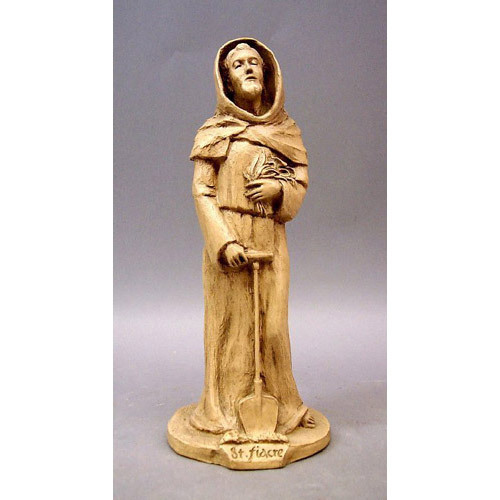 The legend of Fiacre goes that St Faro allowed him as much land as he might entrench in one day with a furrow; Fiacre turned up the earth with the point of his staff, toppling trees and uprooting briers and weeds. A suspicious woman hastened to tell Faro that he was being beguiled and that this was witchcraft. Faro, however, recognized that this was the work of God.